Dr John Kippen is dedicated to providing the highest possible standard of care to every cosmetic or reconstructive surgery patient in his care. Dr Kippen is a qualified, Australian trained, Consultant Specialist in Cosmetic, Plastic and Reconstructive Surgery. He has additional Australian and International Fellowships and a special interest in Facial, Eye and Breast Surgery. Member of the Australian Medical Association (AMA). 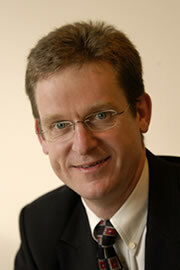 Dr Kippen completed his medical degree in 1989 and then commenced training in General Surgery and Plastic Surgery. Dr Kippen completed 2 postgraduate specialist surgical exams and then worked in association with a general practice that included an emergency department which focused on aviation and rescue medicine. He also spent additional time in Critical and Intensive Care. From this broad training base Dr Kippen continued surgical training at Royal North Shore Hospital and went on to complete advanced surgical training in Cosmetic, Plastic and Reconstructive Surgery. He obtained a Fellowship with the Royal Australasian College of Surgeons (FRACS[Plastics]). He also completed additional fellowship training in Cosmetic Surgery, Reconstructive Surgery, Micro Surgery and Hand Surgery. Dr Kippen then completed further training at a specialist plastic surgery unit in London. He obtained additional training in general plastic surgery and more specifically, all aspects of facial plastic surgery and breast surgery. The facial surgery included cosmetic, reconstructive and re-animation surgery. Specific breast surgery training included cosmetic breast surgery and all techniques of breast reconstructive surgery. Dr Kippen has appointments and admitting rights at Sydney Adventist and Delmar Private Hospitals. He performs day surgery at Pittwater Day Surgery in Mona Vale. He has previously held positions on various Medical Advisory Committees. Dr Kippen is actively involved in teaching and mentoring younger plastic surgeons. With 15 years of surgical experience behind him, cosmetic and reconstructive facial plastic surgery, eye surgery and breast surgery remain areas of special interest for Dr Kippen. He is also actively involved in teaching a wide range of audiences, from medical students to other doctors. Dr Kippen is married with two children and has lived in Sydney since 1996. He has competed in sport at a national level and he still maintains a strong interest and actively participates in running, cycling and paddling.